An extremely professional marketing tool for your company! 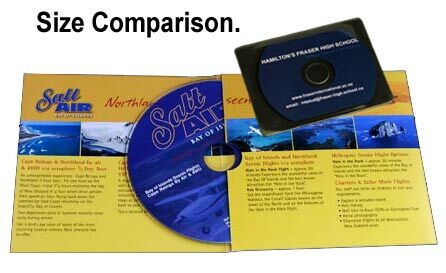 You can use new or existing content to develop your Business card CD/DVDs and Mini CDs. They are a convenient way to transport data without the bulk and hassle of a standard sized CD/DVD. These CDs make it easy to carry information regardless of whether it is a presentation, catalog, or even your personal resume. If you are not familiar with our company, and your first contact with us is on-line, be assured that we are pleased to hear from you and will respond to your enquiriy within one business day. Please let us know what your needs and questions are - we will be very happy to help.